So I'm in Amsterdam. Both before I came and now I've arrived people have asked 'Why Amsterdam? 'and the only answer I can give is 'because I like Amsterdam'. That begs the question of what it is about Amsterdam that I like. Amsterdam's not a large city - either in area or population - but it has the attributes that I like in a larger city, such as wonderful museums, good music, great design, original fashion and, more generally, cosmopolitanism. Because it's small it's relatively easy to get around. The trams function well and take me most places I wish to go. And because it's small and flat it's a very walkable city. The Netherlands itself isn't renowned for its cuisine but there's an emphasis on food freshness and lots of restaurants highlighting the cuisine of its immigrants. 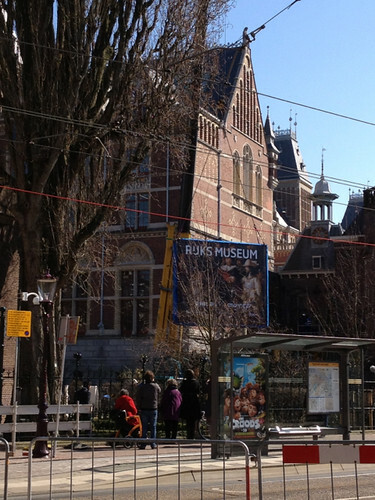 Beyond all these sensible reasons for liking Amsterdam there's something less tangible. I just like the way it looks. 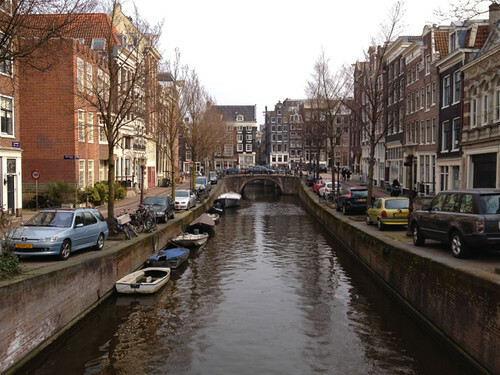 Of course, any city that is built around canals has a head start in the beauty stakes. 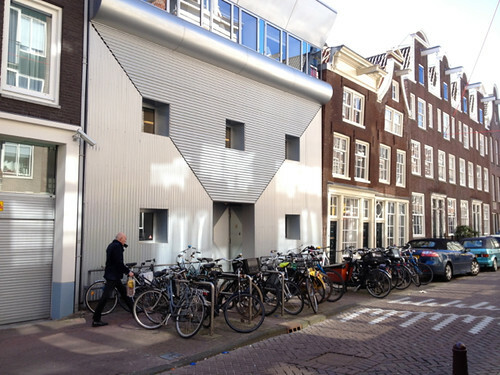 Amsterdam seems to have a wonderful geometry and regularity, but once you look a little deeper, there are all sorts of variations and eccentricities within this regularity. The city's not neatly laid out in a grid pattern - like Sydney it follows the paths set out by past inhabitants - so I think the appeal is about scale. 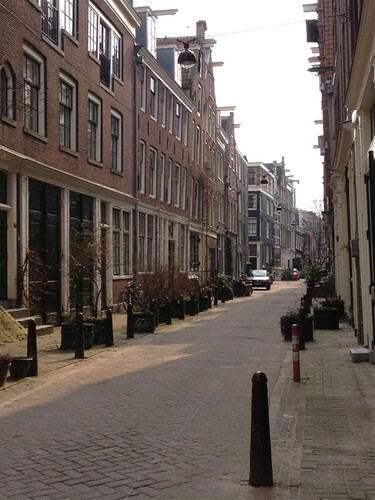 The houses line up neatly along the streets and are roughly the same heights and proportions as each other. I haven't been doing anything particularly touristy - apart from popping in to reacquaint myself with the lovely Begijnhof which you can approach through an arched doorway and small tunnel from busy Spui. It's magical as you pass from crowded streets to the green square where the oldest houses date from the fifteenth century. 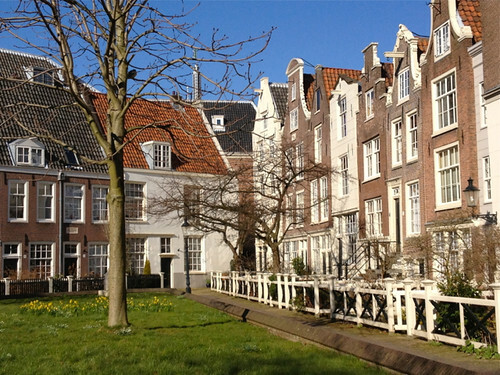 The Square originally housed an order of lay Catholic nuns and even today, when it is administered by the city, the Beguinhof is home only to single women. All the photographs I've taken have just been what I've encountered as I've gone about daily tasks - organising my tram ticket, finding some knitting needles because I'd brought the wrong size, buying a ticket for Bach's St Matthew Passion on Sunday. One of the pleasures of Amsterdam is that so much of it is photogenic. However, I would advise any visitor to move beyond the city centre with its fast-food and souvenir shops, its litter and its fun-fair attractions. Awful, and so easy to escape by walking just a few blocks. 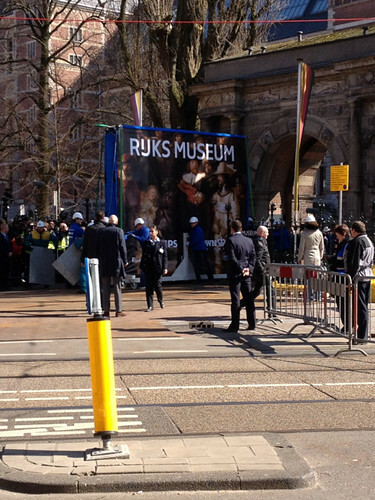 As I was buying my concert ticket I walked through the Museumplein and was attracted by crowds of people around the Rijksmuseum, which has been largely closed for several years for extensive renovations. Fortunately for me, the grand reopening is on 14 April so I'll have the opportunity to see this grand museum and its collection in all its restored splendour. But back to the crowds of people. 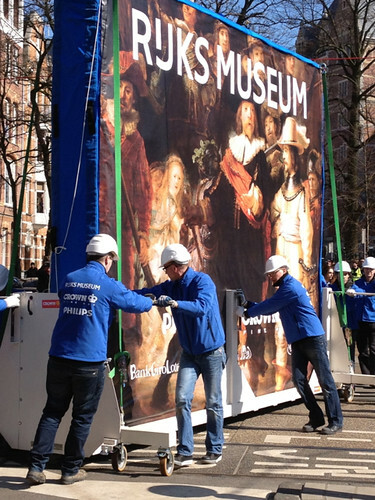 The star of the Rijksmuseum's collection, Rembrandt's enormous The Night Watch, was being moved to its new location in the building. Because of its size it could not be moved internally, so the painting in its climate controlled crate was moved outside the building through a specially enlarged door, lifted down with a crane, and then walked around on a trolley to its new location where the crane operation was repeated. 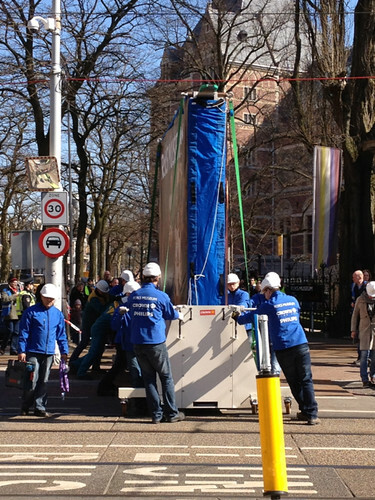 There were crowds of police and Museum staff and even groups of school-children cheering as the air-conditioned crate moved past. A great happenstance event. I'm travelling again. I've just made my way to Amsterdam via Singapore. For readers of my blog I'm sure it's now very clear that I love to travel. I'm not sure why this is. I used to assume that everybody loved to travel and that it was lack of opportunity that prevented some people from doing so. But over time I've discovered that not everybody likes to be 'elsewhere' as much as I do. I like the way you can't take things - customs, ways of doing things - for granted when you're not at home. I like speculating on why things are the way they are and what impact that has on people's lives. And I like just looking at places - at the patterns and colours and and the way they are brought together in the natural or cultivated landscape. 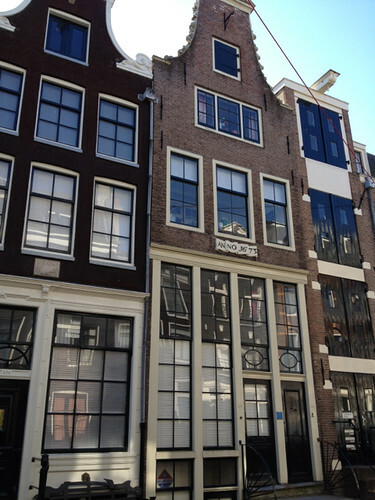 So, I've just arrived in Amsterdam, where I've swapped houses for month or so. 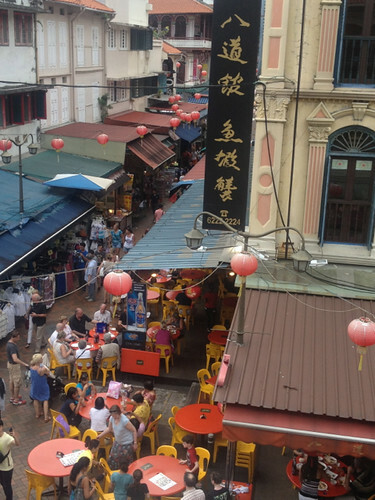 When I booked my air ticket I was unsure how well I'd cope with a long flight after my hip replacement, so I organised a one-day stop-over in Singapore. 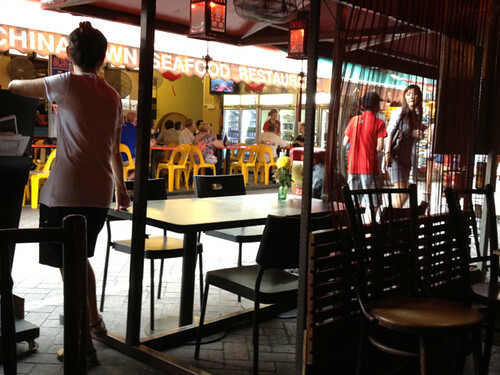 Over the years I've been very rude about Singapore, describing it as boring and too clean. Really, I should have known better. One of my implicit travel rules is that almost any experience can be interesting for the traveller - you just have to look and wonder. I had only a long day to spend in Singapore and was unsure how much I would be able to manage with my more limited mobility. 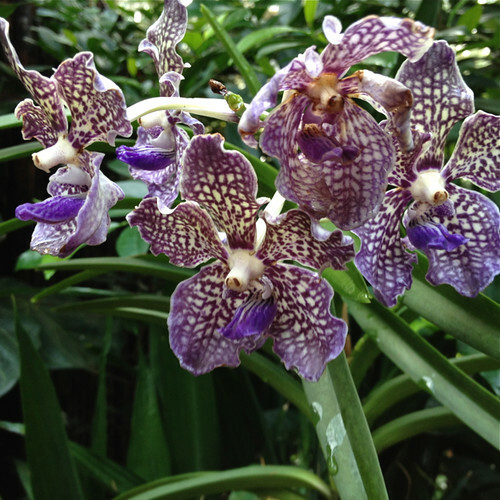 Many years ago I had visited the Botanic Gardens in Singapore and had memories of the wonders of the orchids there. So, relatively early because of the heat, I went to the Gardens. They were already buzzing with activity. People out for early morning walks, joggers, parents with children with bikes and tricycles, families already setting out picnics under shady trees and tai chi practitioners. 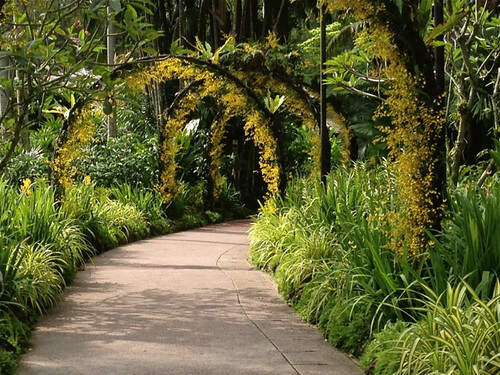 When space is at a premium, as it is in Singapore, such gardens are greatly valued and, in this case, beautifully cultivated and maintained. 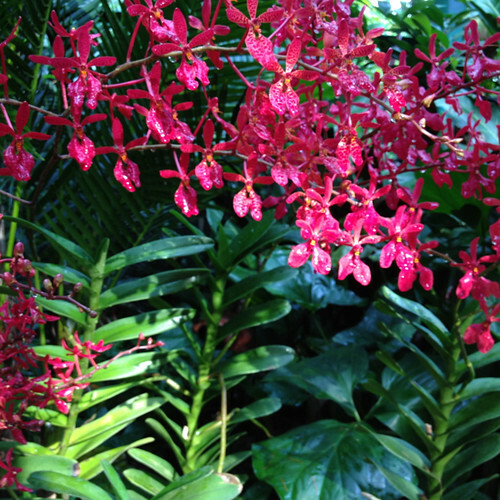 The orchid garden within the Botanic Gardens is exquisite. 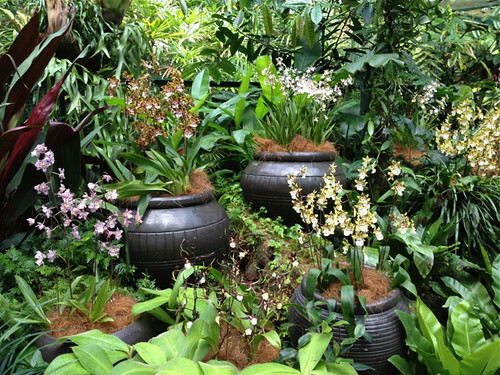 The display of the orchids against densely arranged, varied tropical plantings, as well as the blooms themselves, is wondrous. The paths meander and at every corner there seems to be a new bank of unexpected colour and patterns. Some of the paths had arches of tiny yellow and brown orchids, and there were periodic bowers of dense vegetation for shelter from the sun. 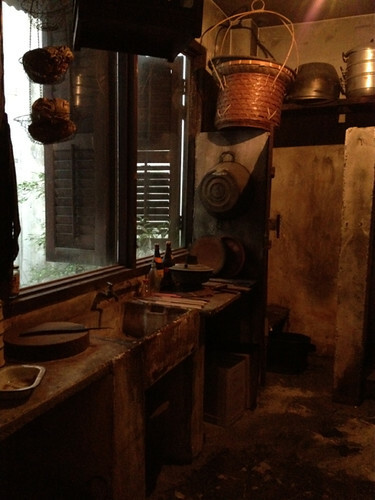 I took many photographs. 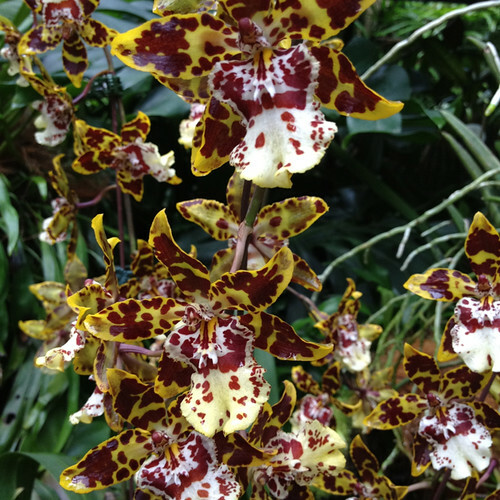 I've chosen those below almost at random because all of the orchids were so lovely. 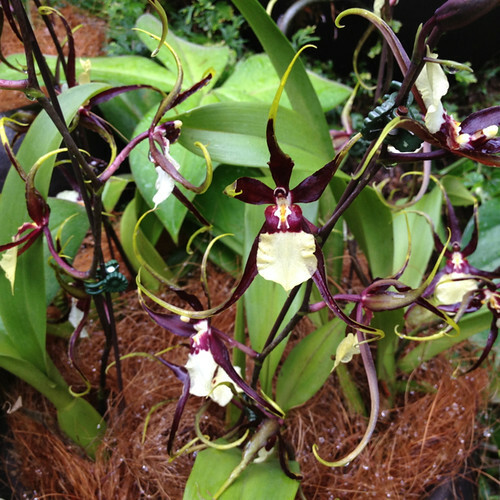 Some orchids were tiny - others (not my favourites) were fleshily huge and gaudy. Orchids know how to combine colours unexpectedly. 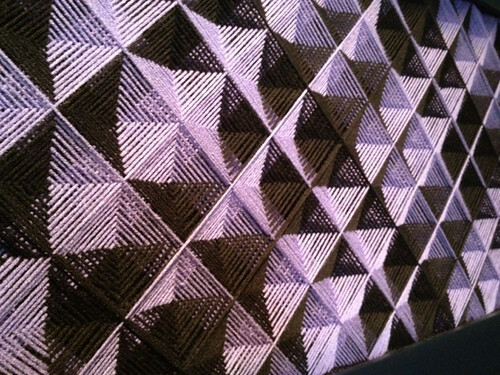 I was particularly struck by the mauve and brown combinations - perhaps inspiration for a striped shawl? By about 11.00am it was too hot to continue in the Gardens. After a rest I took a trip on a 'hop-on hop-off' bus to have an air-conditioned sit-down glimpse of other Singapore sights. I hopped off in Chinatown and spent a leisurely afternoon exploring its streets. I thought it was odd that Singapore would have a 'Chinatown', given that more than 70% of the country's population is Chinese. 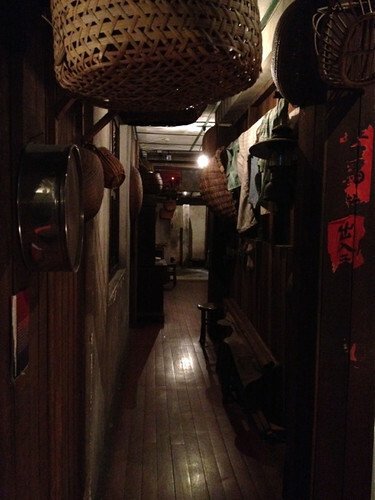 But a visit to the Chinatown Heritage Centre explained that oddity and provided lots of food for thought. Singapore's rapid development over the last fifty years or so brought equally rapid destruction of old streets and buildings for new offices, improved housing and commercial buildings. 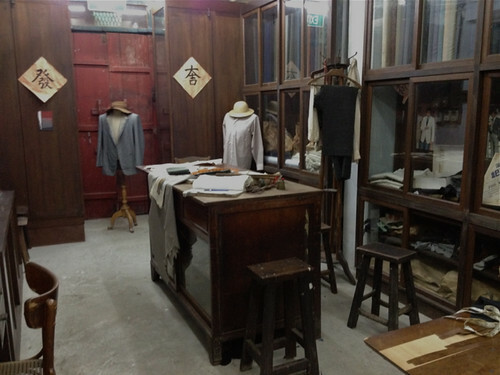 About twenty years ago it was realised that there was merit - commercial and cultural - in the preservation of some of Singapore's past. Today's Chinatown preserves some of the streetscapes of the past. 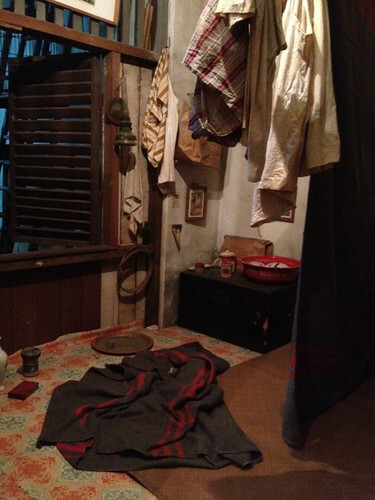 I spent ages in the Heritage Centre. It's reminded me that the Singapore of high rise developments, international label shopping and law-abiding cleanliness is a recent phenomenon and is the result of hard, often exploited work by many immigrants who are now its citizens. As recently as sixty years ago things were very different. My visit to the Centre was topped off by eating in the small traditional restaurant at its entrance - rich sweet/spicy/soy noodles with prawns and vegetables. Yum. I suspect and hope that I won't be repeating my glib, dismissive statements about boring Singapore. My grand-daughter is in need of a new winter cardigan. I guess that if you live in Brisbane, as she does, then 'need' is a relative term. 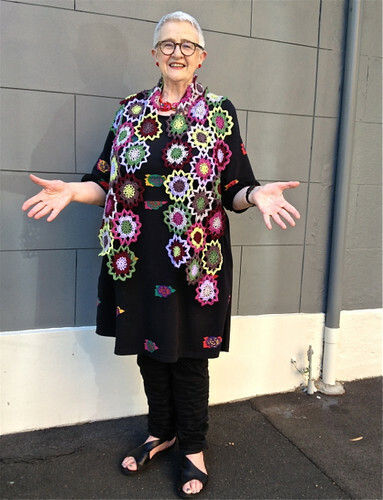 But even in Brisbane the evenings and mornings in winter can be quite chilly, so a not too heavy weight cardigan is just about what is needed. I chose the colour (which in reality is a bit more eggplant-ish than these photos show) because it won't show stains and dirt too quickly and Ana Maria chose the chartreuse colour for the pocket linings. I think she's showing great colour sense already! The yarn is Grignasco Merino Gold DK which is 100% wool but, fortunately, washable. The pattern is Georgie Hallam's Little Butterflies and it comes with lots of instructions for various modifications - sleeve lengths, contrast borders - and with excellent advice for yarn substitution. The pattern is named for the wrapped stitches mainly around the yoke that create a butterfly effect. 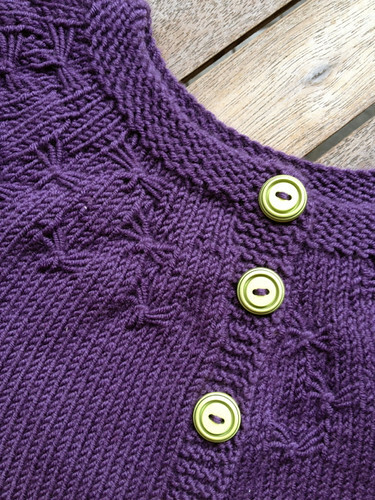 The buttons, by the way, are much, much brighter than my photos show and a great match for the pocket linings. 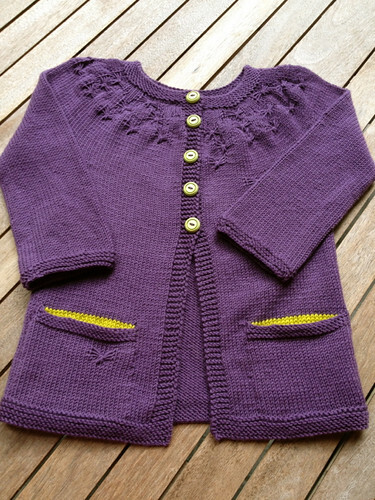 I posted the cardigan off to my grand-daughter yesterday, hoping she'll like it. Maybe I'll have some photos of her wearing it - much more interesting than my hasty pics before I posted it off. 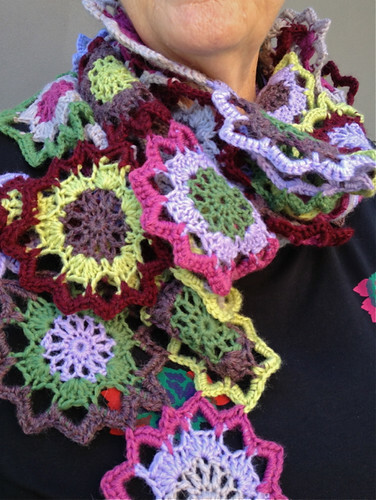 It's a crochet scarf made up of flower medallions. I'd say they are granny square type motifs except that they're round, not square, and I refuse to use the words 'granny' or 'nana' in any way that might imply that being older is to have bad or unfashionable taste. Anyway, I've made this crochet scarf. I don't really like crochet very much. I find that crochet fabrics are often stiff and don't have the drape I appreciate in most knitting. 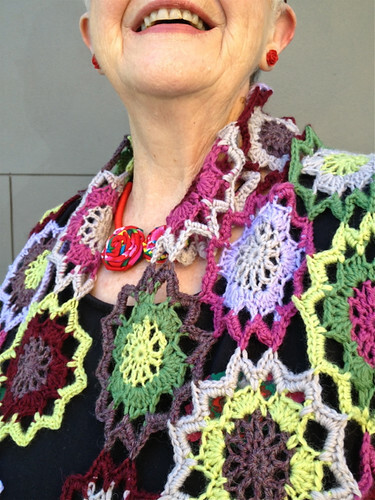 And, until the recent availability of Japanese or Japanese-influenced patterns in Australia, many of the designs for crochet have not appealed to me. 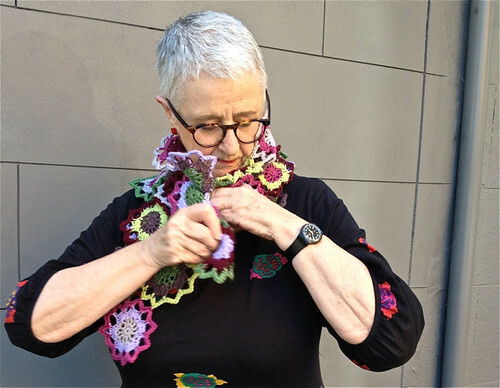 My venture into crochet is really all down to my friend Jane who is an ardent crocheter. Last year she gave me some crochet necklaces and I'd really like to be able to replicate them and construct similar thread jewellery. And I must admit that I'm sometimes delighted by the riot of colour you can achieve with repetitive crochet motifs. So I went to one of Jane's excellent crochet classes to revise my long-unused crochet skills. The first half-hour of the class was torture. Simultaneously, I seemed to have too many fingers and too few to follow the instructions. But I gradually remembered the techniques and felt less clumsy. I'm glad I persisted after the class and finished the scarf as I now feel confident to undertake other projects - perhaps the necklaces? Heaven knows if I'll ever wear my scarf. And thanks again to Margarita, my wonderful photographer. 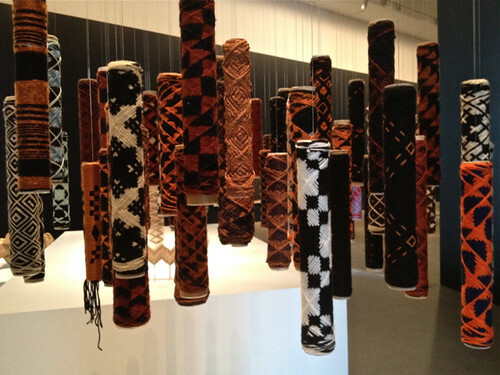 It's a couple of weeks since I visited the seventh Asia-Pacific Triennial of Contemporary Art (APT7) in Brisbane. 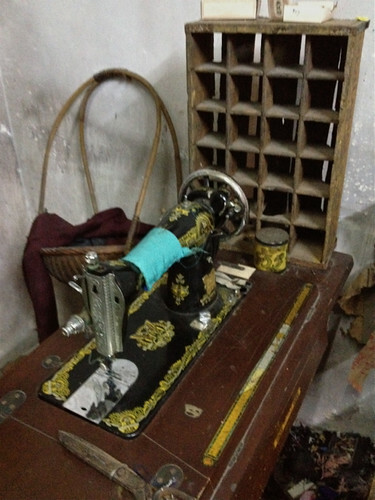 I'm not sure why I've delayed blogging about my visit. Laziness maybe? Or possibly the realisation that blogging now seems to be rather unfashionable and I'm no longer sure that what I'm writing about is interesting to others. But then, I've always seen my blog as a personal record as much as it is a communication with others. It's an aide memoire. 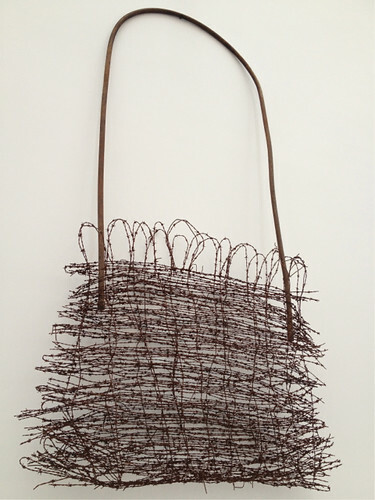 I use it to remind me of experiences and responses that otherwise might drop from the edges of my unreliable memory. 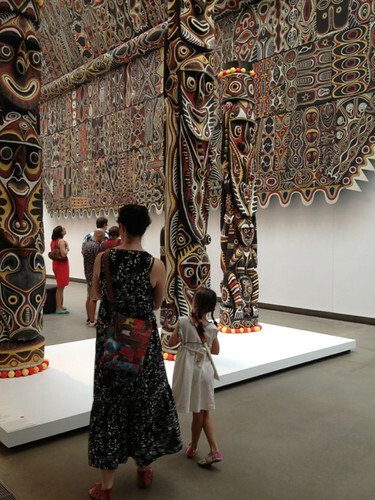 I'm somewhat surprised to find it's already three years since I last wrote about this great event at the Queensland Art Gallery. I'm already re-visiting experiences with my grand-daughter - building up traditions and customs that will become part of our history together. 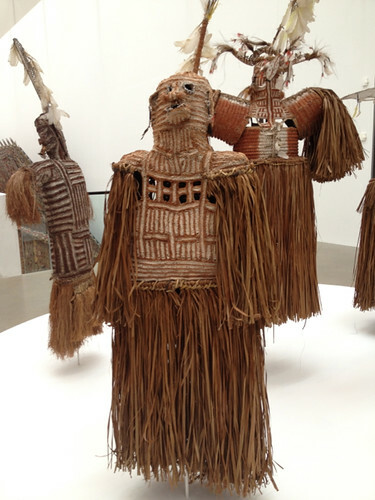 One of the many appealing things about this gallery is its constant provision for children. The APT7 was no exception. 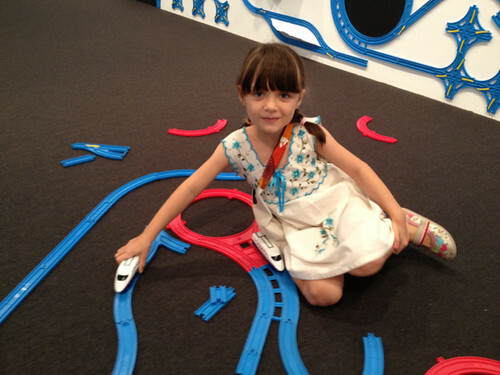 Many of the installations and works are innately appealing to children anyway. 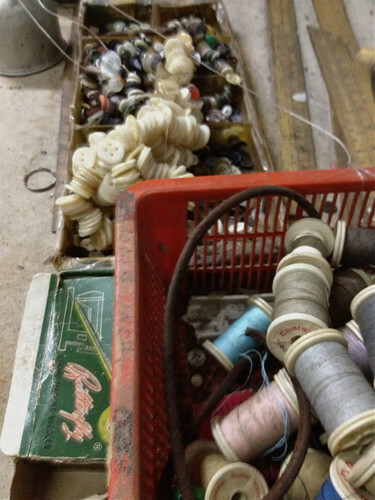 They're often colourful, and sometimes the scale is vast and you can walk through or around the works. But there are also interactive experiences for children. 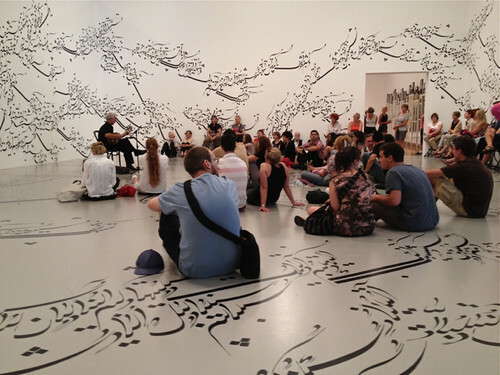 For example, the beautiful calligraphy of Parastou Forouhar became the basis for a computer game in which children could use the Farsi words to outline and define animal shapes which could then be animated and emailed to friends. A Japanese company, Paramodel, had covered the walls and ceiling of a room with model railway elements and provided boxes of pieces that children could use to construct their own patterns. There was so much to see. 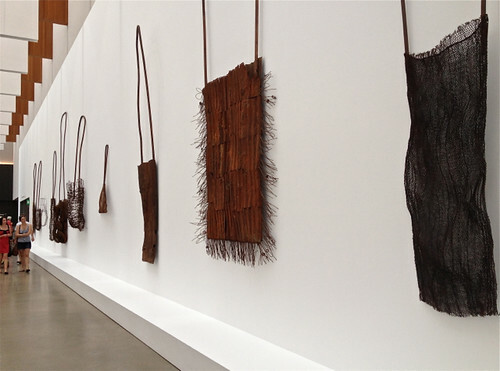 Even though we spent hours at the gallery there were many artists whose work I missed. I enjoy the big blockbusters of famous European art we see from time to time in Australia, but an exhibition such as the APT is fresh, confronting, amusing, engaging, and tells us so much about our part of the world.